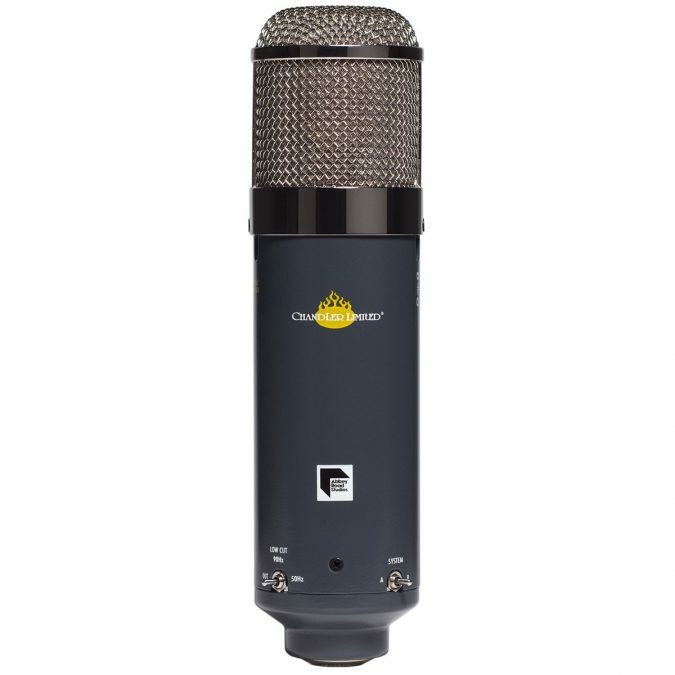 A solid-state, large diaphragm condenser microphone, featuring the legendary TG sound, a ‘Dual Tone’ voicing system and on-board NAB/IEC ‘Tape Equalizer’ facility. The Chandler Limited EMI Abbey Road Studios ‘TG Microphone’ is a solid-state large diaphragm condenser microphone. 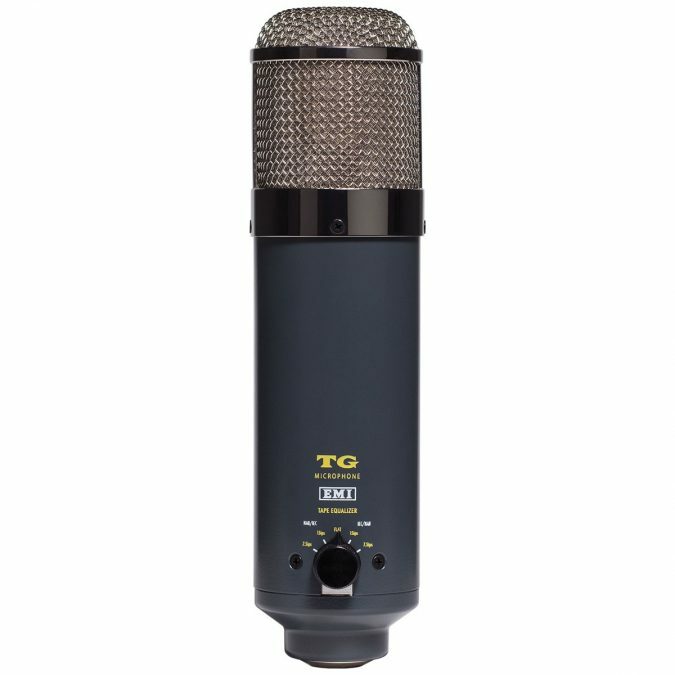 Continuing the rich tradition of innovation, the Chandler Limited TG Microphone is unique in its feature-set, isn’t a clone of any other microphone, and as the name implies, the sound is TG. 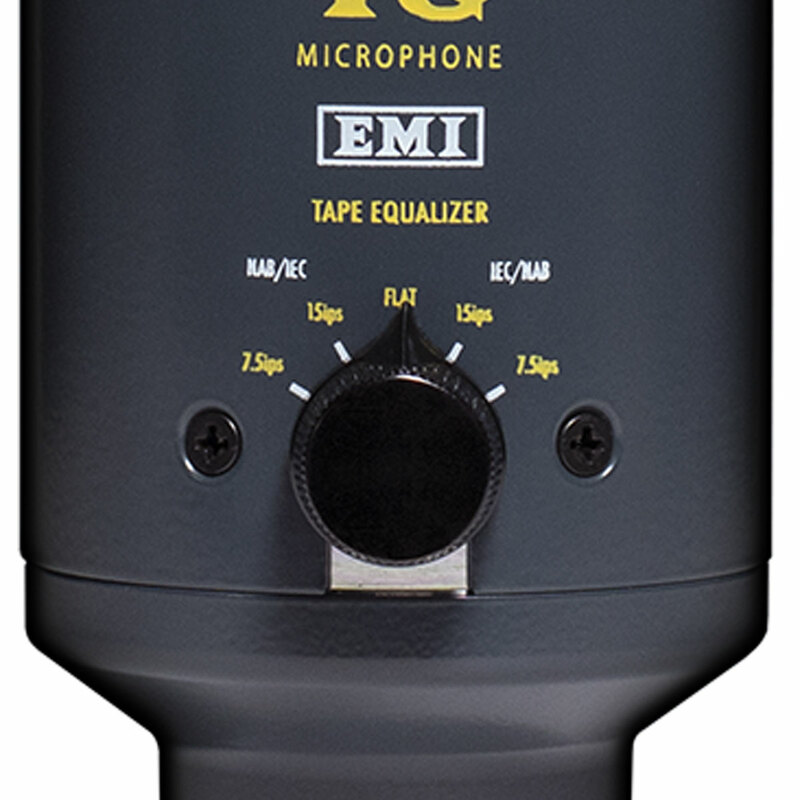 The Chandler Limited TG Microphone ’s unique on-board EMI ‘Tape Equalizer’ section combined with its ‘Dual Tone System’, dedicated PSU and other features create an extremely flexible microphone capable of rivaling scenarios where the FET47, C414 and U47 traditionally have found favor. The Tape Equalizer is adapted from the NAB/IEC tape equalizer facility found on vintage EMI TG12410 transfer consoles or mastering consoles, and applied with great effect in the TG Microphone. Historically used to compensate for tapes played back on machines of the opposite standard, the repurposed tape equalizer allows the engineer to shape the sound at the source and mitigates the need for injecting equipment downstream. 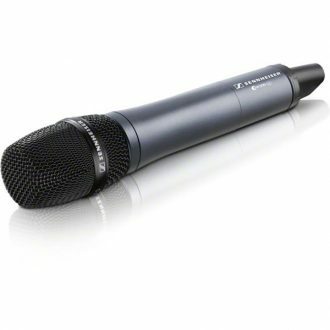 The ‘Dual Tone System’ modifies the input stage of the TG Microphone and extends the versatility of the microphone to accommodate a greater array of sources. System ‘A’ is what you’d expect, TG mid forward, while the alternate ‘B’ voicing is more pristine, takes extreme SPLs and is at home wherever a FET47 would be the choice. 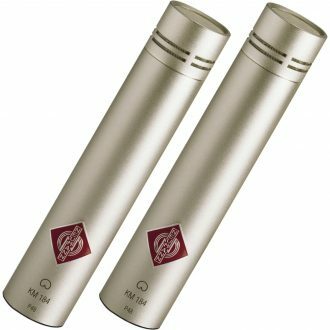 The microphone’s specialized Low-Cut filter in combination with Tape Equalizer work together to create a super-set of 5 additional tonal variations available from the mic. The Low-Cut filter is frequency selectable at 90 Hz or 50 Hz. Much like tube microphones, the TG Microphone relies on a dedicated power supply (PSU). The use of a dedicated PSU, rather than 48V phantom power is integral to the TG Microphone’s larger than solid-state sound. 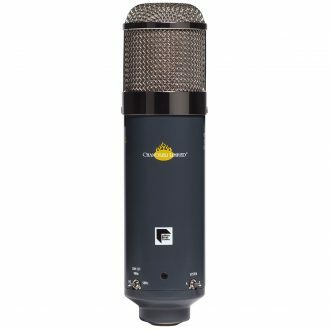 The Chandler Limited TG Microphone makes use of multiple TG amplifier circuits, however, unlike the heralded REDD Microphone, does not feature an internal preamp. Other features include: cardioid and omni patterns, and a 10 dB pad. 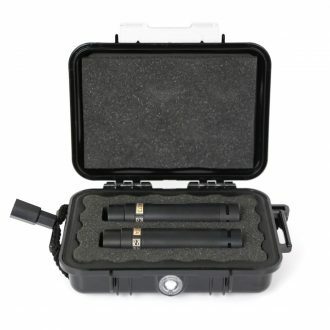 Shockmount, 25’ Mogami 4-pin mic cable, dedicated PSU, and wooden case are included. Conceived from meetings in 1967 between Abbey Road engineers and EMI’s Central Research Laboratories technical team, the EMI TG12345 desk (later known as the Mark I), would usher in a sea change in sound and flexibility at Abbey Road Studios. The new transistorized EMI TG12345 recording console was modular in design, with twelve dual channel microphone cassettes. The TG desks featured expanded EQ, and for the first time ever, a compressor/limiter on every channel. Installed in Abbey Road’s Studio Two in November 1968 and making its debut on an 8-track recording by the Shadows, the new transistor desk marked a departure from the earlier REDD valve consoles. The following year, the EMI TG12345 desk helped shape the sound of the Beatles’ final album, Abbey Road, which was markedly richer sounding to that of the band’s earlier work. The sonic qualities of classics like “Here Comes the Sun,” “Come Together” and “Something” would have been very different without the EMI TG12345. The desk encountered many revisions throughout the ‘70s and became the main recording console used throughout the studios until 1983. The EMI TG12345 console Marks I–IV were used on everything from Pink Floyd’s The Dark Side of the Moon and Wish You Were Here to John Lennon’s Plastic Ono Band, George Harrison’s All Things Must Pass to epic film scores including Raiders of the Lost Ark. EMI TG12410 transfer consoles or mastering consoles, are still in use today at Abbey Road Studios. The EMI TG12345 recording consoles and TG12410 Transfer Consoles were never commercially available to the public. 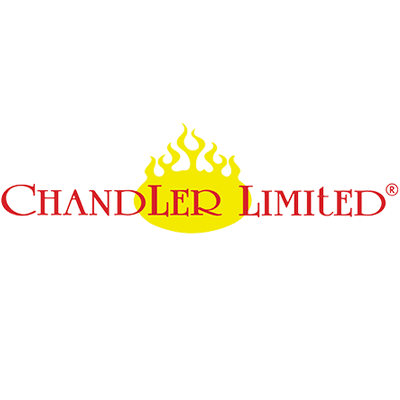 Chandler Limited and associated logos are trademarks of Chandler Limited, Inc. Abbey Road Studios, EMI, TG, REDD and their associated logos are trademarks of EMI (IP) Limited. Transducer Type: Gold membrane, custom spec. 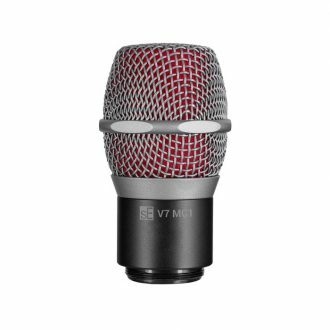 The V7 MC1 brings the powerful sound and performance of the V7 handheld wired dynamic microphone to your favorite Shure wireless transmitter, so you can take your V7’s sound with you wherever you go. 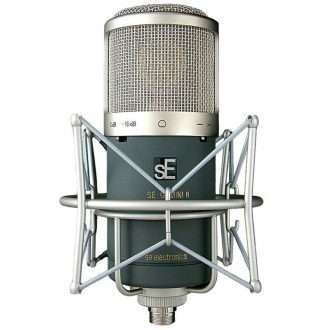 The sE5 comes from a lineage of fantastically versatile small-diaphragm condensers, and takes the best elements of them all to become a mic greater than the sum of its influences. 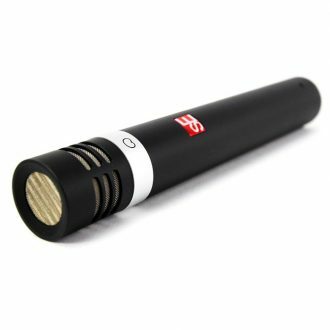 The SKM 500 hand-held transmitter features high RF transmission power for extra-reliable reception. The dual valve design means pure valve warmth from the 12AX7 input valve, coupled with a 12AU7 valve on the output stage. 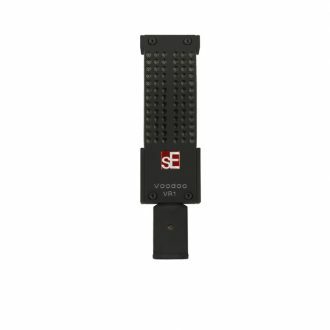 The VR1, a passive ribbon to bring out the bite and edge from your guitar cabs with no muddy highs. 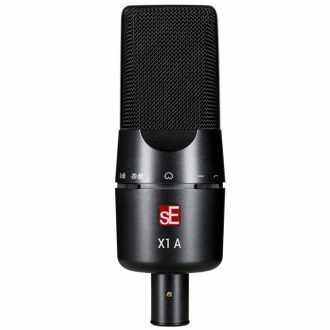 The X1 A is the perfect choice for any musician seeking a high-quality microphone with an entry-level price tag.